We all love our cars without a doubt. Having a fully functional car and all other accessories in place give us joy and peace every time we travel by our cars to rush to different places. One of the said functionalities includes the functionality and accorded visibility of our windscreens. Remember that windshield wipers are a safety feature and one requires being careful when selecting and purchasing them. Today, I would like to discuss different things and important features/information you must consider when selecting the best windshield wipers for your car, as discussed below. Conventional frame style: It’s a kind of a windshield wiper that has a metal framework for the actual wiper. This basically means that it has more than one part that make up the windshield wiper. Its more affordable as well as readily available compared to other Wipers and mostly used world over. Winter wipers: In this kind of wiper, blades are made of a protective rubber that is believed to get rid of both snow and ice. This functionality makes them more durable considering their formation and more helpful during tough winter weathers. We have different types of windshield wiper blades that help during the selection as discussed below. Rubber blades: Rubber blades remain the most commonly used material for making windshield wipers. Its tough elastic nature, makes it the most preferred material for windshield making by most manufacturers .Sadly, it’s not considered to be very durable compared to others. Silicone blades: They are believed to be more sleek but more expensive than others. They are not immensely used in the market. Coated rubber: It is more advanced but ordinary rubber blade coated with both Graphite and Teflon. This enhancement makes it more durable compared to non coated rubber and rather expensive compared to the ordinary rubber. Duraklear rubber series Wiper Blades: These are believed to ensure maximum performance of a windshield wiper. Check correctly when selecting one. Synthetic rubber-It’s considered to be more durable, flexible and stain resistant though a bit expensive. If your budget can fit perfectly without a strain then select synthetic rubber windshield wipers. The sleek is unmatched. High glide treated rubber –A windshield wiper made of high glide treated rubber allows the windshield wiper to glide and slide without causing noise or unnecessary streaks. Select a windshield wiper made of this rubber, whenever possible. Having learnt the styles of windshield wipers, the types of blades available and the recommended rubber materials in our markets, let’s go to the following guidance when selecting the best windshield wipers for our cars. Without a doubt, no one needs to get to a shop, to buy new windshield wipers for a replacement and get the wrong size, type, or anything else that matter when selecting windshield wipers. That’s why mostly, one is advised always to carry the spoilt ones or the car manual when buying them. They must be compatible with your car for better functionality. Ensure you get the right size that will fit in without bending, breaking or twisting hence hampering good functionality. Always Remember, a windshield wiper, is a safety feature and should be rightly fit. At times you may not find the exact windshield wiper for your car model and you are in compromising but ensure safety comes first. Steel Springs. The use of steel springs ensures application of uniform force across the windshield wiper which eventually leads to a uniformly clean windshield. It’s important to note, that the springs ensures a firm hold of the wiper during its up and down movement hence have a thorough clean and clear vision. Affordability. Rubber bladed windshield wipers are most commonly used and also considered the cheapest in the market. If you can get good quality at reasonable of course it’s better. But it’s rumored that the cheaper the windshield wiper the bad quality it might be. Bottomline avoid the windshield wipers that come with killer prices. Sturdiness. 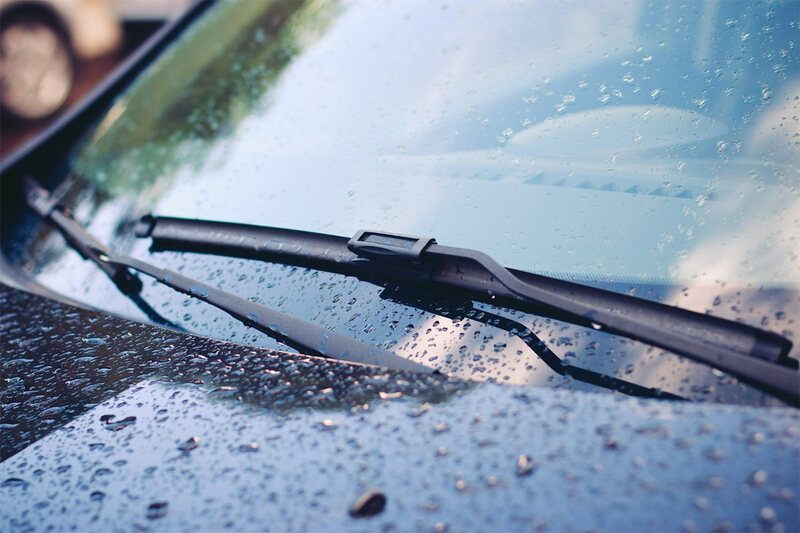 Always ensure that your windshield wiper is made of a great frame which enhances its functionality. If the frame is of low quality, or one that has unfitted bends leave that and get a good. Easy to install. The easier the process of installing the better is it. Consider a scenario where you are away from your car dealer or mechanic and you need to replace your windshield immediately. Your knowledge on how to install one and the easy way of installing one will help you a long way. Don’t buy a Windshield wiper with a complicated way of installing. No exposed steel parts. Always ensure when selecting the windshield wiper that no single part of the frame is exposing uncovered steel parts. Not just it will be noisy but it will eventually scratch your windscreen. Who wants a scratch on any part of his beautiful machine? Easily replaceable. The more you use your car, the older and less functioning will be some of its features including the windshield wiper. When that happens and there is a need to replace, the rule of the game emphatically recommends that you always replace in pair. Don’t ever make a mistake of replacing one and leaving the other on. It will be a matter of time anyway, before you rush to replace the other. To save yourself the agony, always replace both. To add on all the above, it would be unfair to only teach you on how to select the best windshield wipers and not throw a few tips on how to clean and make them last longer. Use a windshield wiper washer fluid or a glass cleaner once in a while to clean the windshield wiper. Using a dump sponge containing the recommended washers, run it through the rubber, inside and out until it’s thoroughly clean. In Conclusion, windshield wipers are not just an accessory but a safety feature. Ensure to check its functionality as often as possible. Nothing would be more dangerous than a non working windshield wiper when you need it suddenly.